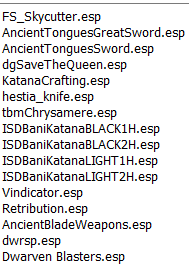 *Just to be clear for people who don't know what a merge is : all the merged mods(the esp's in the pictures) take only 1 .esp slot in load order. 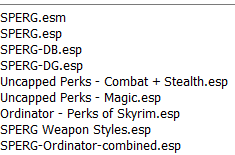 *Survival mods will be merged only in patches so a greater flexibility in selections is given to the player.This will probably mean 10 more active .esp that i wanted but you will have more control on what you want from MO. These are the final merges. Beta 2 is now completed. 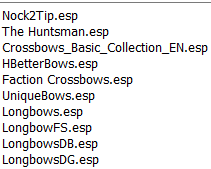 A test save will be started.If after 48h of gameplay pack will have 0 CTD, modpack will be uploaded. You are so meticulous, this is brillant. That sounds like a lot of fun,how do games look on it? Lying down on the couch, facing it, it represents the epitomy of laziness haha. Benq 1080ST or 1080ST+ (Short Throw or Benq 1070+ when you have a larger living room) + Ikea Tupplur (30€ blind). Wow - thanks soooooooooooooo much Rottem!!!! "17 +[Homes]•RM•" I don't find anything about this, how this RM works? Thank you ! 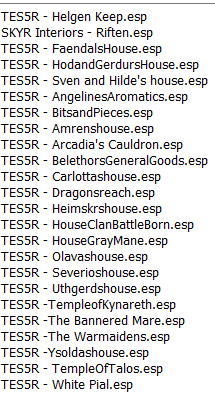 Homes were removed i think so anyone can add their favorites. RM stands for "Rotten Merge" so i remember that "that" is a merge i've made. 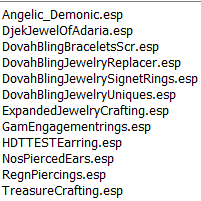 Can you update the modlist 4.4!? Could you put the links to the mods or delete the extinct mods? 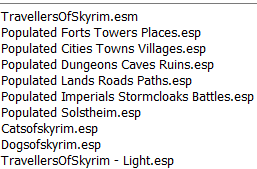 Sometimes we can not find the mod because it has been deleted or you have put the file name we need to download instead of the mod name. 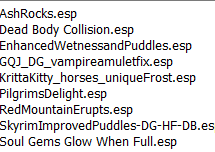 For example: "13+[Texture Fixes]Texture Fixes", I have no idea what I need to download. 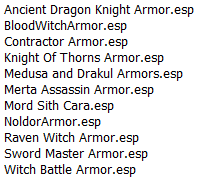 It might just contain texture fixes by no author. "Update it with what? 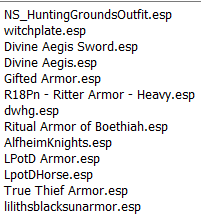 modlist for 4.4 is final"
But some mods no longer exist.